North Lakes is a suburb of the Moreton Bay Region, Queensland, Australia. North Lakes is located approximately 26 km north of the Brisbane central business district. Originally part of Mango Hill, North Lakes was gazetted as a separate suburb by the Department of Natural Resources, Mines and Water in February 2006. The origin of the suburb name is from the name given to the estate development. The North Lakes Library opened in 2014. The suburb includes parklands, schools and shops and currently houses 17,000 people, with 25,000 projected by the end of the development. There are also many new facilities in the area, including the North Lakes Community Centre, Interchange, industrial estate, and Westfield North Lakes. Major tenants of the shopping centre include Target, Coles, Big W, Woolworths, Myer, Kmart and other major franchises and boutique stores. A cinema complex opened in mid 2016. A 28,000sq m IKEA superstore (the second in Queensland) officially opened on November 17, 2016 as part of Westfield’s stage three development. North Lakes is also the site of Queensland’s first Costco. Margate is a residential suburb of the Moreton Bay Region in the east of the Redcliffe peninsula, approximately 26 kilometres (16 mi) north-northeast of Brisbane, the state capital of Queensland, Australia. 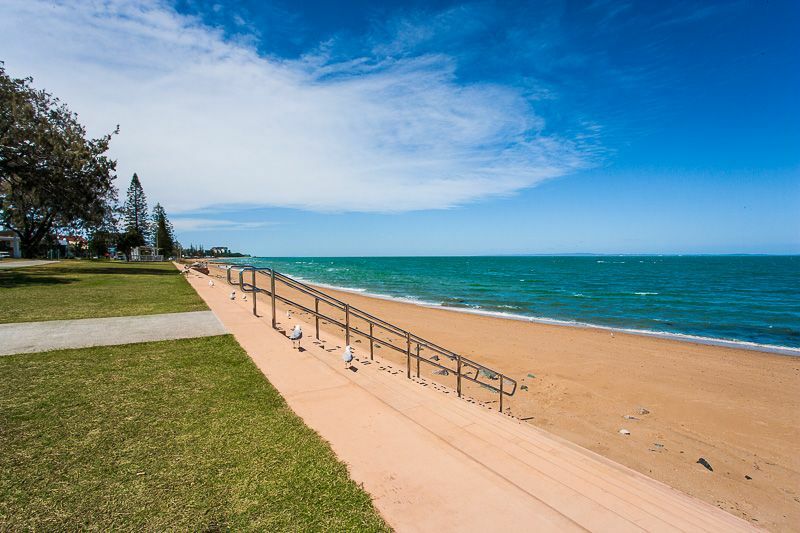 Margate Beach, a 2 km redeveloped stretch spanning the length of the suburb, features a timber boardwalk, viewing shelters and seating, and barbecue facilities, with views to Moreton Island over sandy beaches and Moreton Bay. The redeveloped boardwalk was completed in 2002 in a bid to beautify the area. The boardwalk covers the original cement steps to Margate Beach which are still visible and in use further down the waterfront at Suttons Beach, Redcliffe. Margate boasts the longest mainland stretches of sand beach together with a trendy two kilometre redeveloped timber boardwalk. The location of the boardwalk next to the beach makes it ideal for walkers, cyclists and little people on scooters. To the northern end of the beach sits the quaint Scotts Point swimming pavilion built in 1937 which gives an insight into the popular beach life of a bygone era. Adding to the pleasant ambience are the many ancient Norfolk Pines that line the Esplanade along Margate, Redcliffe. These serve to remind us of the first settlers on the Redcliffe Peninsula who had the forethought to plant seedlings more than 150 years ago. The shade provided by the canopy of the huge branches provides prevention from sunburn in the summer months. Clontarf is a suburb of the Moreton Bay Region, Queensland, Australia. It is in the south-west of the Redcliffe peninsula, approximately 29 kilometres (18 mi) north-northeast of Brisbane, the state capital. It was named after Clontarf in Ireland. The land use is a mix of residential and light industrial. Clontarf is connected to Brisbane City, across Bramble Bay, by the Houghton Highway which is a 2.7 km long causeway that provides access to the southern tip of Redcliffe City, greatly decreasing the travel time between Redcliffe and Brisbane. The current pair of bridges, Houghton Highway and its twin Ted Smout Memorial Bridge, replaced the original Hornibrook Bridge which is now closed and mostly demolished. Clontarf Beach and Bells Beach are two of the closest beaches to Brisbane City. Pelican Park is known for its kite flying conditions, and a local industry has built around the sport. On weekends, many kites can be seen flying above Clontarf from the Hornibrook Bridge. During May, the Redcliffe Kite Club, based in Clontarf holds a two-day kite event called Kitefest. Clontarf is host to two adjacent medium-sized shopping centres, on the southern tip of the suburb. Most retail commerce in the suburb revolves around small business however, and there are many stand alone corner stores and other small businesses still in existence. The Hornibrook Bridge was the first of three bridges to cross Bramble Bay. Handsome art-deco concrete abutment arches frame the entry and exit approaches. Construction of the bridge was important for the growth of the Redcliffe City peninsula and made the commute to Brisbane shorter and quicker, increasing population growth and the number of visitors to the seaside location. Morayfield is a town and suburb of Moreton Bay Region, Queensland, Australia. It is 44 kilometres (27 mi) north of Brisbane, the state capital. Morayfield is a mostly residential area, consisting mainly of low-set brick homes and some semi-rural acreage. The main commercial area is concentrated along Morayfield Road and includes the Morayfield Shopping Centre, which opened in 1997. The suburb is situated in the Burpengary Creek catchment area. The Bruce Highway passes from south to north through the suburb. Morayfield railway station provides access to regular Queensland Rail City network services to Brisbane and Ipswich, as well as Caboolture and the Sunshine Coast. Morayfield Road is a major road that passes through both Morayfield and Caboolture, most of the regions shops are situated on this major road, including the Morayfield Shopping Centre. Morayfield has a number of heritage-listed sites, including: Oaklands Sugar Mill, Morayfield State School and Morayfield Plantation. Burpengary is a town and suburb in the Moreton Bay Region, Queensland, Australia. It is 35 kilometres (22 mi) from the Brisbane CBD. The name is derived from the Aboriginal word burpengar, meaning the “place of the green wattle”. Burpengary is one of Moreton Bay region’s fastest growing residential areas. Major retailers in Burpengary include ALDI, Woolworths Limited, Coles Supermarkets and Kmart Australia. Burpengary Creek is the suburb’s main waterway. Burpengary is also home to the Caboolture Regional Aquatic Centre which houses a 50m Olympic pool, a 25m warm up pool, aqua aerobics, tennis, beach volleyball, gymnasium, cafe, barbecues and landscaped settings and enclosed children’s play areas. A new centre in the area is the AFL fields, where the Brisbane Lions played three Australian Football League pre-season competition matches. The Moreton Bay Regional Council operates a public library at 121 Station Road. Burpengary railway station provides access to regular Queensland Rail City network services to Brisbane and Ipswich, as well as Caboolture and the Sunshine Coast. Burpengary is linked regionally by Kangaroo Bus Lines which operate services primarily to Redcliffe and Caboolture. The primary schooling in Burpengary includes Burpengary Meadows State School and Burpengary State School, both being state-owned public schools. The secondary schooling in Burpengary includes St Eugene College, which was Burpengary’s first high school, and has served the area since 2008. The suburb’s second high school, Burpengary state secondary College, began with years 7 and 8 in 2015. Caboolture is located 50 km north of Brisbane via the Bruce Highway. The early settlers knew that the local Gubbi Gubbi Aborigines used a word to describe a carpet snake or the place of a carpet snake but they didn’t know how to spell it. So the word was variously spelt ‘cabul’, ‘kabultur’, ‘kabul-tur’ and ‘rabultja’ until, in 1848, someone decided ‘Caboolture’ was a sensible spelling. It is a comment on the northern sprawl of Greater Brisbane that Caboolture is now considered the northernmost limit to the city and, because of the regular fast train service to the state capital, it has become an important commuter township with a population of over 45,000 people. The local economy is based on tourism, retirement and the surrounding rural service industries which include mixed farming, timber, cattle and tropical fruit. The town’s main attraction is the excellent and extensive Caboolture Historical Village which is located on 4 hectares at 280 Beerburram Road. It is the product of hard work from the local historical society which was formed in 1959. The village is a constant work-in-progress with over 70 old buildings including a barber’s shop, post office, police station, stable, chook house, shire hall, blacksmith’s foundry, sawmill, lockup, and morgue. Fifty of the buildings are of historic importance. It is rare outside the country’s major cities to find a museum which can boast, as does the Abbey Museum (situated on Old Toorbul Road off Bribie Island Road 8 km from Caboolture), such wonders as “Can your curiosity resist a death mask from ancient Egypt or a rare armoured shoe from Olympia, Greece? Our internationally acclaimed collections of rare and significant artefacts … from prehistoric hunters, the age of bronze and gold, Rome’s iron legions, fierce Saxon and Viking invaders, plague-ridden towns, knights and manors, the clash between church and state, Europe’s golden age of Renaissance, the Industrial Revolution and distant empires.” This is a museum which claims, with justification, to have one of the finest private museum collections in Australia. The collection was originally curated by John SM Ward who founded a utopian religious order in Britain in the 1930s. Forced to close because of World War II the community moved to Cyprus but were forced to move again because of troubles on the island. They arrived in Australia in 1956 and settled in Caboolture in 1965. The result is a unique and atypical collection for rural Australia. Ferny Hills is a suburb in the Moreton Bay Region, Queensland, Australia. It is north-west of Brisbane, the state capital, and is located along Samford Road at the edge of the Brisbane Forest Park. Informally it is part of the Hills District. There are also convenience centres located on Ferny Way on the southern end of the suburb. Until 2006, a notable feature of Ferny Hills was the Australian Woolshed, which was an Australian farming and wildlife attraction featuring shows and animal exhibits. This has since been demolished and a residential development has been built called ‘Woolshed Grove’ paying homage to its previous life. 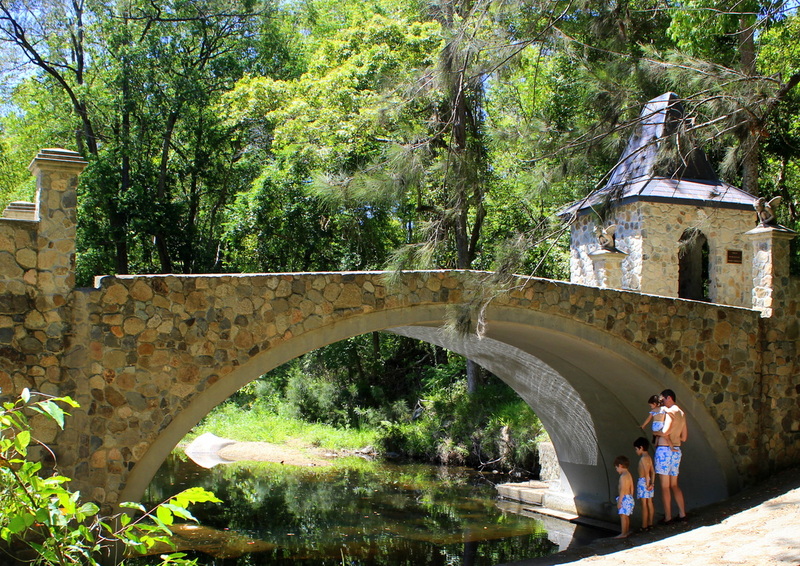 Samford Conservation Forest is a pleasant and easily accessible spot for outdoor gatherings, horse riding, bush walking and mountain bike riding. The park is part of the ‘Mangroves to Mountains’ nature corridor, which connects remnant bushland from the D’Aguilar Range through the suburbs into Moreton Bay Region, protecting vital wildlife habitats. Murrumba Downs is a suburb of the Moreton Bay Region, Queensland, Australia. It is located east of Kallangur on the Bruce Highway 24 km north of the Brisbane central business district. It is bounded by Fresh Water Creek to the north, the North Pine River to the south and Bruce Highway to the east. In the 2011 census, Murrumba Downs recorded a population of 9,393 people: 51.4% female and 48.6% male. The median age of the Murrumba Downs population was 35 years, 2 years below the national median of 37. 76.2% of people living in Murrumba Downs were born in Australia. The other top responses for country of birth were New Zealand 5.6%, England 4.9%, South Africa 1.1%, Scotland 0.7%, Philippines 0.6%. 89.6% of people spoke only English at home; the next most common languages were 0.9% Hindi, 0.4% Afrikaans, 0.4% Italian, 0.4% Spanish, 0.3% Tagalog. Kallangur is a suburb in Moreton Bay Region, Queensland, Australia. It is north of Brisbane, the state capital. At the 2016 Australian Census, the suburb recorded a population of 20,405. A section of the Bruce Highway marks the eastern boundary. The area once belonged to Mrs. Griffin of Whiteside, west of Petrie, and was acquired by a Scottish migrant by the name of Thomas Petrie in 1855. The name Kallangur originates from the Aboriginal word kalangoor, meaning a goodly or satisfactory place. Anzac Avenue is a heritage-listed major arterial road lined with trees in the Moreton Bay Region, Queensland, Australia. It runs 17.8 km from Petrie to Redcliffe, with most of the route signed as state route 71. The route was formerly the main route to the Redcliffe peninsula, until the Hornibrook Bridge was built. Opened in 1925, Anzac Memorial Avenue (as it was originally named) is the longest World War I memorial avenue in Queensland and was the first bitumen motor road connecting Brisbane to the popular holiday resort of Redcliffe, and reflects the growth in car usage in the early 1920s. It was added to the Queensland Heritage Register on 5 February 2009. Strathpine is a suburb in the Moreton Bay Region, Queensland, Australia. It is home to the Pine Rivers District offices of the Moreton Bay Region as well as many businesses. The area is home to Strathpine Centre, a medium-sized urban shopping centre. Strathpine is a Scottish place name, where strath means valley and pine refers to the Pine River. The area now known as Strathpine was originally developed in the 1860s as an addition to the North Pine settlement during the Gympie gold rush. In the late 19th century, the area was known for sugar and rum production, with several sugar mills and distilleries in the area. The area was first named Strathpine by the Queensland Government Railways in the 1880s. Pine Rivers Park is a very large park that caters for everyone with many features including a well-equipped playground with flying fox, pedal-powered train, children’s maze and liberty swing. This park has many picnic areas with tables and shady trees. There is a large stage and amphitheatre area suitable for concerts and performances. There is ample parking available onsite with overflow parking available for large events.